One of my BIGGEST pet hates is seeing people with unblended eyeshadow. There are two keys to blending your eyeshadow seamlessly. 1. Have good brushes 2. Have persistence. The first brush I would recommend is the Morphe M441. I call this the Jaclyn brush because she uses it in the majority of her makeup tutorials for blending shadows through the crease. This brush begins tapered and gradually disperses the bristles more finely which makes blending more seamless. I love using this brush for the first transition shade, this stage helps to make blending easier when you go in with darker shades. The transition shade should be a few shades darker than your skin tone, for example for pale-tan skin tones Makeup Geeks peach smoothie is the best transition shade. The 231 Zoeva Luxe Petit Crease is great for precision work in the crease. This brush will be used for a slightly more intense shade e.g. a medium brown. Adding more precise blending through the crease with a deeper shade will add more depth and dimension to the eye socket. After blending this through the crease, using windscreen wiper motions, go back to the big blending brush which I previously mentioned, the Morphe M441, and use the previous transition shade to soft focus everything and make everything blend seamlessly. After this, you can repeat this process by adding more depth using a precision brush until you reach the desired dimension to the eye. Continue and persist with blending until everything looks seamless. The next brush I enjoy using is the Zoeva 227 Luxe Soft Definer. I own both the original rose gold and the pink rose gold brush and they come in so handy for adding more dimension to the outer V of the eye or simply blending everything all together. Zoeva's 232 Luxe Classic Shader brush is perfect for packing metallic/shimmery shades all over the mobile eyelid. To get maximum pigmentation and decrease the chances of fall out I like to spray the 232 brush with MAC's Fix + to dampen it slightly before applying an eyeshadow/pigment to my eyelids. The final brush, is also from Zoeva and that is the 230 Luxe Pencil. This is such a great brush for adding eyeshadow to the lower lash line for a blown out smoky eye. 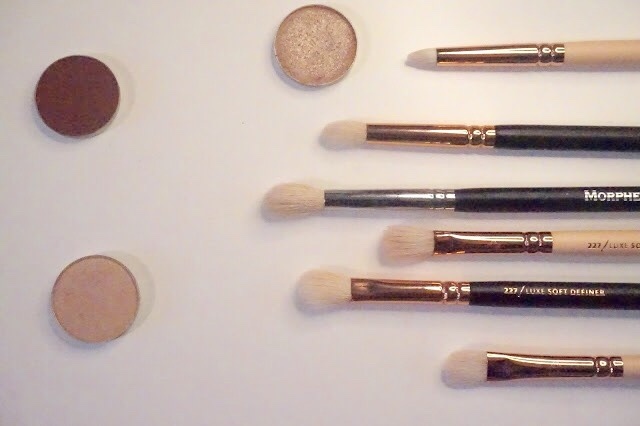 What are your favourite brushes for eyeshadow? I totally feel the same way, I literally sit and blend my shadows until I can't blend any more! I need to get my hands on that Morphe brush! I love these suggestions! I love my blending brushes BUT I could always need MOAR!! 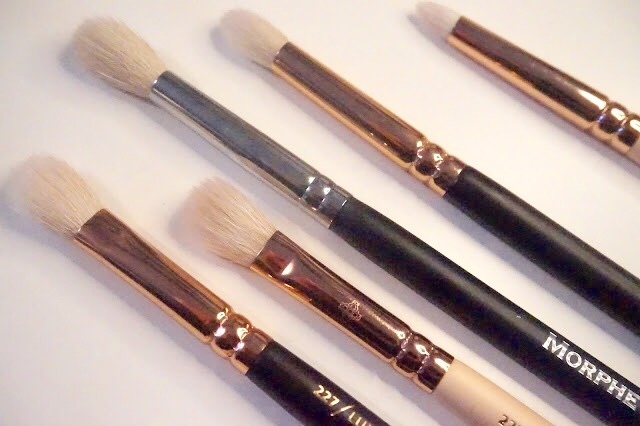 This is so useful, as I am always looking for more great brushes! The only one that I own out of these is the Zoeva Petite crease brush and it's so good especially if you have small eyes or like a very defined crease. I'm pretty bad at blending which is probably why I don't wear eyeshadow that often anymore! I absolutely love Zoeva brushes. I have that pencil and blending brush and swear by them. I'm yet to try Morphe Brushes, will keep your recommendation in mind! I only own Zoeva brushes for eyeshadow at the moment, and I really enjoy the flat eyeshadow brushes for application, but I don't like the blending brush for blending ti is too soft in my opinion. The flat shaders are good! Blending brushes are literally my favourite things, I have so many, but not enough haha! I definitely need to try out Morphe brushes soon!